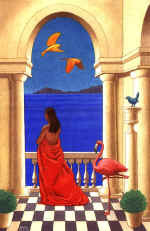 I am an Italian figurative artist (painter, illustrator and interior decorator). I have studied Art at the Brera Art Academy in Milan, Italy, and at the Superior School of Applied Arts of The Sforza Castle in Milan. I have been living and working in Norway from year 1994 to 2000, in the city of Bergen, then moved back to Italy after this very enriching experience. As a result, my art is sometimes influenced by Nordic mythology. I live now in the area of Siena, and work at my personal painting projects, as well as for A. Voltolini Decorazioni. Mijn kunstenaars naam is Nauras. Geb. 01-07-1972 te Halebja in Kurdistan- Irak. Gehuwd, 2 dochters. In april 1999 ontving ik de A status als politieke vluchteling. In 2004 ben ik genaturaliseerd tot Nederlander. In 1998 kwam ik hier als vluchteling. Van kind af aan heb ik veel ellende meegemaakt door de politieke situatie in Irak en Koerdistan. Je leefde a.h.w. van ramp tot ramp. (denk aan de gifgasaanval op Halebja, ik denk aan mijn gevangenschap). My goal is to say as much as I can about my subject without saying it all so that it leaves the viewer to become an integral part of the painting. Much of my work is done with Silhouette; working in this manner allows me to explore my subject on a more universal level. Much more than technique, it is how we interpret our own personal vision through our medium that elevates a simple, ordinary subject into a work of art. I find the most satisfaction making oil and encaustic paintings. This gives me the opportunity to observe what is around me and "reflect" it to other people. The process has undergone various transformations over the span of my experience. For me, the image itself becomes the main vehicle for achieving a response. 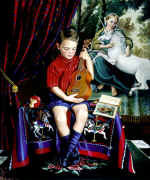 Starr's traditional style of oil painting is reminiscent of the renaissance of the European Old Master's. She is endowed with an unusual ability to capture the depth, truth, and beauty of her subject matter, in rich vivid colors. 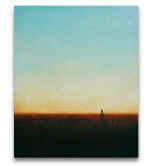 However, only a handful of people understand that her paintings are her own emotional locution. This parlance is the sole of her art and is embodies into the totality of her artistry, assimilated in, clors, objects, subjects, foregrounds, and backgrounds. 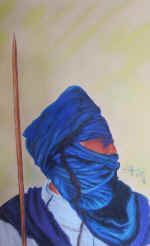 Artist from Sudan live in Morocco. Travelling across the globe through out the previous twenty five years the artist related to his identity as a nomad, lived and acknowledged the spectacular cultural diversity that surrounded his existence, from the land of the spinning Sufi dervishes, the virtual thoughts and the power of silence to the density and comprehensive European cultural scene, from the wonders of the far east to the cosmopolitan and contemporary North American approach to art, from the desert as an open gallery without walls to a group of selected museums and private galleries in many places around the world. Painting and pop culture prolong collision in my ongoing love project on view in 2004 in mediation at Doncaster museum, uk, screen grab at boltax gallery, ny and doctor Strangelove, at taafi and in 2005 in a group opening at the museum of history, saint petersburg, russia travelling to warsaw and prague, betty blue at zsa zsa gallery and torontoniensis exchange–suit case show, at york quay gallery, toronto and pentagon exhibition centre, glasgow, scotland. I try to translate light effects by watercolor. 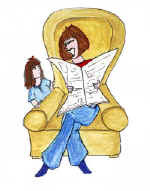 Ana was born in Zamora (Spain) in 1969 and in 1987 emigrated to England. 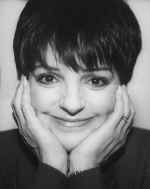 In 1994 she graduated in Arts (Music) having studied at Goldsmith's College in London and Anglia Polytechnic University in Cambridge. After graduation she started to work as a graphic and multimedia designer. She's worked for a few advertising companies and recently co-founded her own design company, Sugar cube Creative Studios. She loves to travel and has visited Italy, France, Sweden, USA, Holland, Morocco, Greece, Austria, Denmark, Switzerland and Brazil. I live on Foymount Mountain east of Algonquin Park. The landscape is beautiful & inspirational. 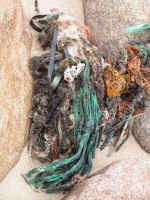 I also create Garden Sculptures of Blue Herons & Found Art from Recycled Material. 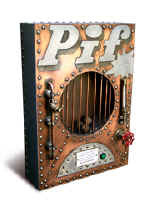 Airton Adami, I nickname Pitti, I was born on April 24, 1965 in Brazil, and I live at the Praia dos Ingleses, in the island of Florianópolis - SC - Brazil. 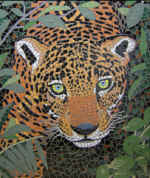 I develop works looking for to portray expressive images using the language of the mosaic. Mosaics are not just tesserae that when gathered form an illustration, they are groups of visions, sensations and expectations, and that's why they can express much more than you idealize, they express emotions. I was born and raised in Washington State in the USA. I am a career artist and I show my work mainly in galleries and fine art fairs in the US. I have been painting about eight years, my work is mainly floral and my idol was Van Gogh when I was studying. I strive to make my paintings intense. After nearly 25 years as an illustrator, graphic artist, photographer, and teacher, I am now enjoying the freedom of expressive oil painting. I am interested in capturing what I see and feel at the moment, and, I am always looking to expand my visual and thematic vocabulary when ever possible. I have been labelled a "neo-fauvist"," expressionist", and "post-impressionist". I define myself as a draftsperson and painter. 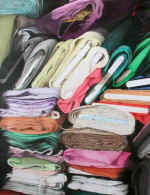 I seek order, structure, color and texture. Artist and high school art teacher in Holland. Colour pencil drawings in super photographic) realistic style. I have a lot of exhibitions in Holland and Belgium, but I'm always looking for artist-friends abroad. I paint with one ultimate goal that every artist should have: To create art that cannot be compared with or surpassed by any other work of art. I learn from every painting and push myself farther with every work. I was born 1969 in Tabriz city, Iran country. from 11 year ago worked . I love god, peace, live & colours specially grey & yellow. 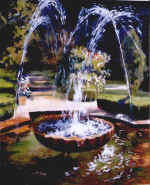 A realist painter specializing in images of the natural world. My special interest is reptiles and dinosaurs, and doing murals for zoos and museums. Born in Itri, Italy, where I spent my childhood before coming to the Bronx, New York, where I received my education ,BFA , MFA and my first success. So lucky, I am able to return to my roots and the old world with all its charm, at least every year, once, where I still keep a studio on the Via Appia. As an artist I have had and have several showings and representations in Italy, Germany, Russia and many in the USA as well, including: New York, Iowa, North Carolina, Maryland, Georgia and Florida. Both as a painter and sculptor, Ahimbisibwe's subject matter mostly revolves around women. 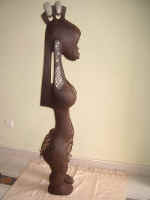 Says the artist: "They are the natural treasures Africans should be proud of. Through them, our cultures have kept burning. Our sheer existence depends on their love, perseverance and labour. But -- sadly enough -- our women are unsung heroes, and their rights have been trampled upon. My dream is to project them in another light -- one in which they are proud of their psyche, their body and their manyfold roles in society, commanding respect and portraying all that can be said about life." -"Your illustrations look great (I saw some of your work at illustrativ.nu - love the king in the jesters hat)." Dreams and beauty are close together with my art. I would like to invoke pulses of feeling and imagining. and cannot our dreams and imagination, once inspired, enhance any area of our lives? Voir la toile comme une lumière potentielle. Alan Ainslie has established himself as a wildlife artist adept at capturing the untamed spirit of Africa in his drawings, paintings and sculptures. Born in 1952, Alan grew up on a Karoo farm in the arid Eastern Cape region of South Africa. He graduated from the East London Art School in 1974, whereafter he worked as a graphic designer and illustrator. His career as a wildlife artist commenced in 1984 and since then he has participated in numerous local and international wildlife exhibitions. Studied graphic arts at D.G.S.A. from 1971 to 1976. Until 1983 I worked as a freelance graphic designer. 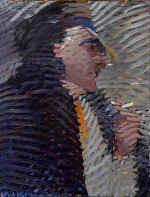 In 1994 I started working in oils. Since this year I continue working in Germany. Until now I had ten personal exhibitions and many group exhibitions in Turkey and in Germany. In 1945, as her family called her, was born in Yazd, a city in central of Iran. Her family moved to Tehran when she was nine. her passion of painting and playing with colors grew in the early years of her youth. She learnt her alphabets while playing with colors. even in school she showed more enthusiasm in lessons that included drawing and colors; such as geography was the only person who drew the maps in the blackboard. When she was fifteen, her professor Mr Petgar taught her the essentials of painting. Later she continued with professor Mr Mir Emadi who gave her professional hints for drawing. She considers these two professors as fundamental pillars in her artist career for what they taught her. 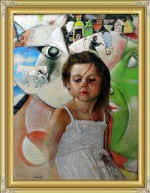 The daughter of a painter, I lived in Paris for some years. I met Picasso during that time, but rather than developing a desire to paint abstractly, I trained myself to paint to a high degree of realism. To the inner most part of me, art is a language, and as the "Divine Child" artist paints, harmonies are born and the language becomes a Song of Love and Light. I was born in Bafra, Turkey 1961.I'm an artist attentive to my surroundings and in a constant state of active contemplation on what I see, but I'm not inclined to find attractive the ordinary or what is generally regarded as beautiful.. I paint because I need to...perhaps to express an emotional response to the beauty I see all around...without painting, the world for me would be a difficult place. 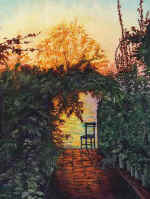 I have been painting now for over 28 years and have many many paintings. 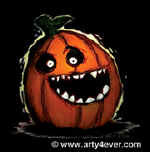 Like most artists, this art represents a statement by me of my feeling toward the subject for any particular painting. I always try to get an "Eye" or two into my paintings. Drawings I make have many roles. My drawing can range from confused struggle to glib rendition but is always very enriching entertainment. I love to draw. I use drawing to explore, to mine and forge my visual notions, to edit and to confirm. A drawing can be a rehearsal or it can be a full realization. In drawings I can see how thorough, or how thin the information I have is. how do I subdue ignorance? 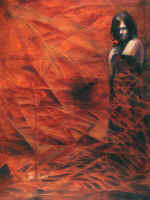 Farida Ali is an artist, poet and women's rights activist. She was born in Mumbai, India. 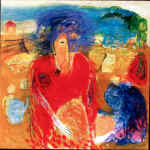 Farida has travelled extensively throughout Canada, USA, Europe, Middle and Far East to gather material for her paintings. 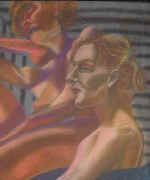 Her still is "Realism"
and works mainly in Oils but also does Fabric Art, Glass paintings and Pencil Sketches. 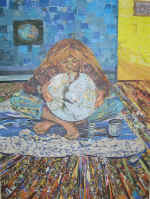 1996: Bachelor of Fine Art (B.F.A) from Sudan University. 1996-2003: Qatar Social of Art - Doha, Qatar. 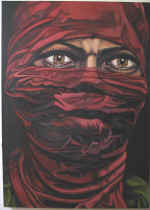 2004: 18th Artist at Bissan Gallery- Doha ,Qatar. 2002: Qatar Pop art - Doha, Qatar. 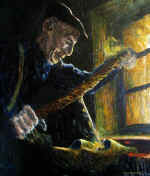 The painter Oscar Alitta lives and works in Leighton Buzzard, in the county of Bedfordshire, England. Born in Turin in 1929. I am an Abstract Artist influenced by natural forms and environments. 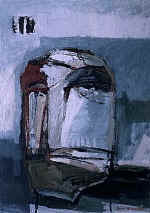 Abstract Expressionism, Pop Art, and Realism have inspired basic methods and concepts. I was producing artwork at my leisure until 1998 when, at the urging of friends and family, I decided to take a chance and pursue art as a career. JamieMarks, LLC, was launched. I started by displaying my floor cloth and placemat designs in the Southeast United States at a variety of art and craft shows. Since then, I have expanded my business to include artwork such as murals, sculptures and a variety of unique commissioned pieces. Pollyzoom has been projecting art on Museums and in art galleries since 2005. The shows are often collaborations with other visual artists and sometimes musicians. Pollyzoom has dedicated New Years Eve to First Night St. Petersburg for a number of years. For New Years 2009 Pollyzoom worked with Marina Williams of Artpool Gallery here in St. Petersburg. The following photos are the projections taken by Marina Williams of our shadow art on the Museum of Fine Art St. Petersburg florida. 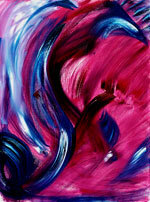 I am a Canadian artist that paints vibrant expressive paintings using pure pigment and mixed media. I am exhibiting in Romania at the Arad biennale in may, and have several juried and group shows planned in the coming months. I am planning to continue my studies in Italy this year and presently am studying sculpture. 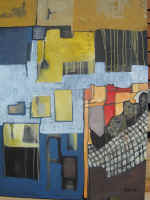 Jeff, Debbie and Ryan combine the abstract expressionism techniques in their fine art oil paintings, drawings, mosaics and sculptures to evoke an emotional journey through earth, wind, fire, water and space. We hope you enjoy the trip. 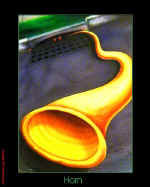 Almandrade (Antonio Luiz M. Andrade) plastic Artist, architect, master in urban drawing and poet. It participated of some collective samples, between them: Biennial XII, XIII and XVI of São Paulo; «In Search of the Essence» - it shows special of XIX the Biennial one of São Paulo; IV National Hall; Universe of the Soccer (MAM/Rio); National Fair (S.Paulo); II São Paulo Hall, I Ephemeral International Exposition of Sculpture (Fortaleza); I Bahian Hall; II National Hall; Honrosa mention in the I Estudantil Hall in 1972. It integrated collective of visual, multihalf poems e projects of installations in Brazil and exterior. You will find a biography on my website. Oils: Landscapes, nudes, fruits, bulls and toreros. Jose Pedro studied Arts in Alicante, Spain, and started his job as a surrealist painter in year 2001.
my background set and costume design. I designed a lot of theater sets and costumes for the state theater, Istanbul, during my career in the theater, I continued to paint. I have always been an impressionist painter, primarily using oils. My subjects are generally social cultural life, natural beauty, seascape, and portraits. Every artistic object affects me so that I expand upon them in my imagination. All color gives me inspiration. the vantage provided by sentiment and longing is very important, so I am looking for the beauties of each subject with all my soul. Artistic scenes have always been fascinating to me, While vivid color and powerful light are indispensable components of my work. 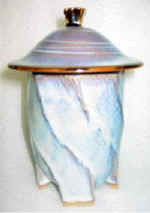 Contemporary style, soft colors, texture, and dramatic design are the hallmarks of Richard Altman's glass art. 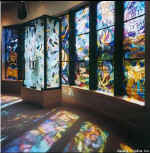 An Indiana native, Altman creates stunning visual effects using a combination of glass fabrication techniques, including fusing, kiln carving, casting, torch working, and sandblasting. Cristian S. Aluas is an Artist living and working in Ottawa, Ontario, Canada. Cristian has always been an artist, and he has been working as a full-time professional artist since 2001. 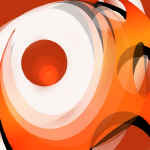 Cristian S. Aluas provides excellent art work and also welcomes a variety of commissions. Colaboraciones en revistas, Dibujos, Oleos. I am a self-taught artist, I am 35 years old and live in the USA. I love art, music and life. 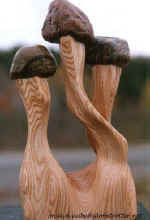 Exquisitely hand carved staffs and canes, as well a relief carving, sculpture, digital and fine art by well-known Canadian Artist/Sculptor, Terran Ambrosone. António Amen, born; Porto, 1946. Two periods in Photography First the 80´s, for several reasons i abandon it and return at 1999. 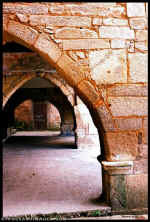 Several prizes and exhibition of Photography . My lemma is: Photography is light, is passion, it is emotion fixed on the time. Dominique studied for over 6 years in France, Italy and India. She has shown in New York NY, in Hillsborough and Winston-Salem NC, in New Jersey, in Vermont, at the Vedanta institute in Vrindavan, in New Dehli and Bangalore India. 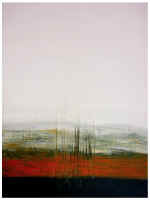 Her work may be found in private collections across the country and abroad, in the US, France, Italy and India. I am a Dutch (amateur) artist and writer, 45 years old. I like to draw abstract work, mostly without any preconception. 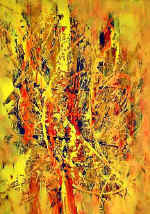 My Art - or «the expression art gets through me", is a wonderful mix of visual arts and art-projects. In the process - when I'm creating - my heart delivers matters for thoughts, which crystallises parallels and contrasts and gives back the heart a lot of stuff to feel. 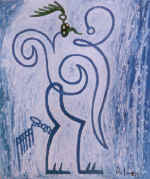 The Visual Arts often becomes what you can call a new symbolism - the symbols are both my own and common. I research opportunities in all the new materials which is added our everyday lives - especially metals interests me at the moment. 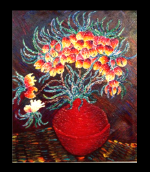 Amoroso has been Painting for over fifty years and has travelled and painted extensively and throughout the world. 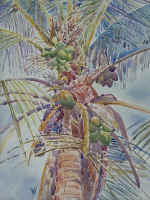 He presently resides and paints in Coconut Grove, Florida. His work is recognized and collected internationally. Dan Anaka has been active with his artwork for the last 15 years. He is self taught and bases his methods on quality in every aspect. I am a semi-retired surgeon and have been painting for over 25 years. I studied art in Madrid and Paris, and attended several workshops in Europe. Many of my paintings have been sold and the last exhibition at McMaster University was a great success. Now I have several commissioned work which keeps me busy. Abstraction of the shape to only keep of it a pure and willowy line with a strong dynamic, impetus of the body in a spiral of desire with sharp angles and fined down curves of an ineffable tenderness, like a silhouette with absolute lightness made of bronze, glass or plaster, evolution of the object from the sketch to the final version, gracious curves that inhabit other media, as Indian ink or etching for as strong an emotion. 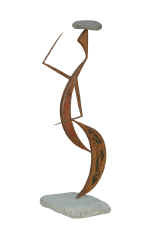 my name is Anassuwandi, my basic idea was a «BUBU» or fish trap, a kind of traditional equipment to catch fish. With reference to the concept of «BUBU", I interpret it's a symbol of life. most of my works are about human's experience in life, the have strive and struggle to survive. Studies SA school of Arts. Fine arts Diploma. Exhibit my photo Art regularly and freelance as a stills photographer. I don't care for the certainty in front of my lens but the creativity, the invention, that can gush from a thought there after/before. Between the certain and uncertain there's a space, like in dreams and fables. I love to draw and tattoo, beauty is my passion. New Membership Application Form at Avisen-avk Art I was born in Copenhagen in 1949 and I now live in Dragør. I'm a self-taught painter - painting since I was 11 years old where I won a newspapers drawing competition and the price was a box of oil colours. 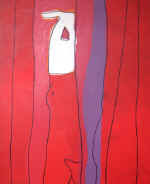 I have exhibited my art in Denmark at galleries, companies, art clubs, etc. 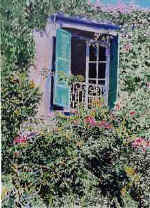 I am painting on locations in Greece and Denmark as well as in my studio. Inspired by European Impressionism and American Realism, Darby Anderson blends Impressionism and Realism to create paintings of America's Heartland. Robert Anderson has been painting and printmaking since receiving his Master of Fine Arts Degree from Pratt Institute in 1972. 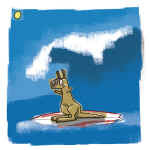 More recently, he has begun to explore digital printmaking in the form of Giclée Prints. I work exclusively in the abstract where I feel the most freedom to express whatever I may be feeling at the moment. Some of my pieces are relaxing and cavernous, while others are stimulating bursts of energizing color. Please explore my work and enjoy! och kulturarbetare sedan tjugofem år tillbaka. från idé (ad) till färdigt original (originalare), illustratör/konstnär. Van att projektleda och ansvara för egna uppdrag. I have always been writing and painting since I was a child. I'm autodidact. I have searched in many different ways, for were I belong, and now I know... In mean time, for several years, I have worked with many different things, in many different ways... And I have learned a lot! A professional artist and sculptor Milan Andric was born in 1972 in Belgrade. 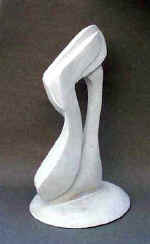 He has been sculpting since 1994 when he entered the department of sculpture at the Faculty of the Fine Arts in Belgrade. 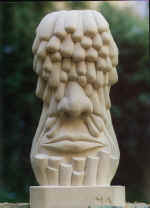 He has received both the annual prize for the best portrait and for the best stone sculpture. Milan Andric graduated with the best marks at the Faculty of the Fine Arts in Belgrade. Now he participates in a lot of group exhibitions. 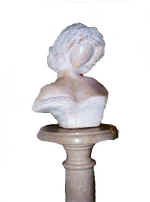 Milan is a versatile artist who works with classic sculpture materials wood, stone, and metal, but many of his works are performed in Galvan plastic technique Nowadays Milan works as a conserver in Museum of Applied Art in Belgrade. Exhibitions featuring Victor Angelo include the Smithsonian Museum in Washington DC, Museum of Fine Arts, La Jolla Athenaeum, Commissions include large-scale works with proceeds donated to charity for the City of New York and Los Angeles. Further international appearances span from Portugal to the Netherlands to Russia in addition to countless acquisitions from admiring collectors around the globe. I am a New Zealander, I passionately paint my environment and sometimes figures in vibrant happy colours. I have been living from my art for three years. Travel is a strong influence. Trips to Thailand, UK, Greek Islands, Australia, Spain and Hong Kong and New Zealand feature in my work. Andros was born in Naples in 1966; he now lives and works in Milan. After his fine art studies, he opens "L'Arte Dei Pazzi" an art workshop where, beyond his art works, he realizes decorations, trompe l'oeil, murals, mock ups and scenographies; he also works as freelance graphic designer and illustrator and scenographer for "AFT". He's now working on his exhibitions and performing activity and as scenographer for events and fashion presentations. Canadian-born Robert Angelini has done his fair share of animated cartoons for two decades on numerous continents. 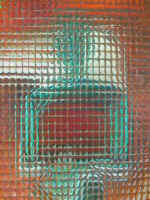 Nowadays he is confined to his studio-home to continue with his pre-occupation with LIGHT and the way it behaves. Selah. Ray Annino is a retired chemistry professor and researcher. A signature member and past president of the Rhode Island Watercolor Society, he is primarily self taught and has been painting as a hobby for most of his life. The end result is all that matters. My primary aim is to produce striking and/or beautiful images of the world around us, from the obviously picturesque or scenic, to the small delights found only by getting very close to nature. My work is almost exclusively in colour, because in nature, colour is an essential element. 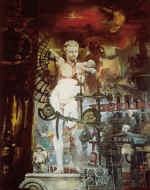 Widely exhibited and published artist whose work is allegorical and mythical. Most recent work concerned with Tibetan lands and rituals as a metaphor for reclaiming the sacred both within ourselves and in the world. I paint from the sixties while I was a teacher, now I'm professional painter and I exhibit internationally my works which represent the human condition through symbolic animals which are near the human behaviour. 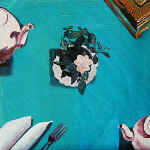 Anthe is an award winning graduate of the Pennsylvania Academy of the Fine Arts. 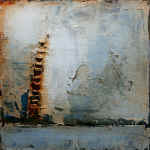 She teaches, has juried many shows, has given many critics, and enjoys creating work of different media. "I have always had a love of the Mexican & Greek Iconography. 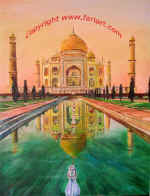 My travels to both countries have enabled me to incorporate their color sense into my imagery." Lorenzo Antognetti, was born in Morro D'Alba, in province of Ancona, Italia,il 18/07/1955. One is qualified to the High school Artistic Paul Klee in Genoa and he has achieved the diploma of Academy of Belle Arti with the maximum of the votes in the academy Ligustica of Belle Arti in Genoa. I make functional work on the wheel and hand build more sculptural pieces. Am inspired by the colours and textures around me and the Maltese Neolithic Temples. I have participated in many exhibitions. Born in Voronezh, Russia in 1961. Graduated from the Art Institute, Voronezh, Russia, in 1981. From 1991 lives and works in Belgrade. International Environmental Artist, Apollo, is best known for his Marine Life, Endangered Species, Endangered Habitat and Tropical Art. He combines the style of realism with a touch of animation. Apollo captures the essence of spirit in his subjects and reveals their beauty on canvas. During my short Greek period I start studying Visual Arts and Theatre but I left Greece at a very young age for numerous reasons. I immigrated to The Netherlands's where I live permanently. In the Netherlands I continued my studies, History of Art, at the University of Utrecht. During this period I worked together with various Dutch sculptors and composers. 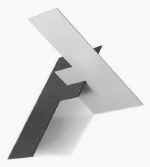 At the same time I worked as Art Director in several Dutch Art Film Productions. 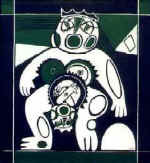 Oscar Araripe was internationally recognized and acclaimed as an important Brazilian writer, educator, and social and ecological activist well before he turned his talents to painting. 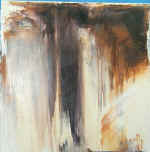 With almost 100 solo exhibitions to his credit, Araripe continues to reinvent the art of painting, not only through his spontaneous and unusual brush strokes and colours, but also via his use of unconventional materials ranging from delicate tracing paper to large-scale public works made of weatherproof synthetic canvases (sail cloth) supported by sturdy tubular structures. I work as a graphic visualiser/ graphic designer/painter. Apart from these i like photography. For nearly 20 years self taught Chicago based promotional photographer Joe Arce has captured and crafted the candid images of hundreds of icons and stars of pop culture. His beyond the glitter brand of celebrity portraiture offers the viewer a rare and often humorous glimpse of unguarded moments behind the backstage door. Luc Archambault, painter, sculptor, performer and ceramist. Québec City. Since 1973, 72 solo exhibits, 122 collectives, in galleries, museums, salons, art shows, etc., in Québec, Canada, US, France, Liban, Australia. Web site since 1996. Visit « virtual exhibits », made and comment your own exhibit of his works. Michael Dan Archer is a Scottish born artist, living in England. 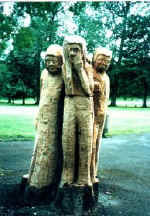 He has exhibited widely in the UK, including a solo exhibition at the Yorkshire Sculpture Park. 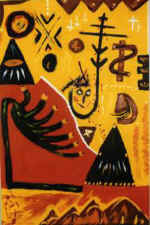 He has also exhibited or made work in Japan, S. Korea, the USA, Sweden, Germany, Italy, Dubai and the Czech Republic. He is a senior lecturer in Fine Art at Loughborough University School of Art and Design. I am interested in interpreting, representing and creating a visual life story of commonplace people or things through colour and form. 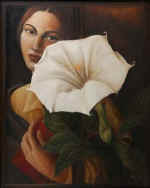 My paintings are portraits of today, representing a fleeting moment of light, growth and life. I work primarily in watercolours or oils. Jan-Hein Arens (1974) is a Dutch painter/sculptor, who works with bright colors and thick lines. He mixes action-painting with simple drawing-like painting. 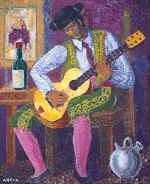 Jose Arjonilla Migal, 1954, Andujar (Jaen), Spain.From very early age it highlights their liking for the plastic arts being an excellent designer, lover of the painting and possessor of a sensitive spirit that it even takes him to write poems and to play with deep feeling the guitar.Drawing studies and painting, Center of Studies AFHA, Barcelona Spain, with Jose Llobera and Roman Oltra. 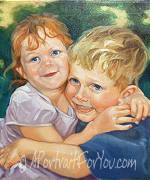 Colorful, bold portraits and paintings in all media, but primarily oils. Illustration, pen & ink and graphite, also. Born on the 19th of June 1943. Self-taught. First paintings at 10 years old. Drawings in watercolours, from Paris to...Nantes. And after a busy career, Philippe D'Armor could at last dedicate himself completely to his real passion after 1998. 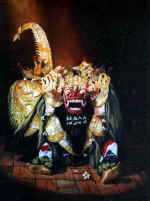 Since this time, he has participated in a large number of exhibitions. 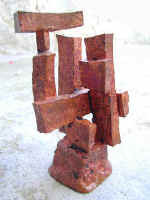 Oil painting, Graphics, Ceramic, Bronze sculptures. 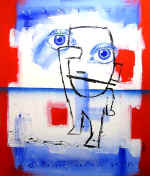 I was born in `63 in Berlin (DDR) and have been artist now for more than 20 years. In my artwork I explore all different kind of materials and technics. I show human drama with strong colors and my figures stories hopefully leave paths in your mind and never really leave you again. 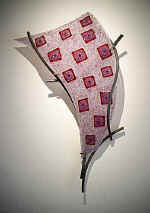 Lucy Arnold has won more than a dozen awards in over 50 juried shows. 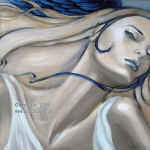 She works in a wide range of media and styles, with a masterful use of vivid color. Her art has been published in "Women Artists" Datebooks by CEDCO, and by Mrs. Grossman's Paper Co.
1969 PennState graduate in Fine Art /Ceramics. Makes wheel thrown/altered/multi-glazed functional stoneware and porcelain pottery. 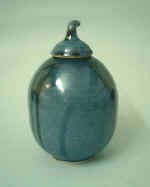 Work incl platters, bowls, vases, teapots and ikebana. My artistic voice and vision has revealed itself over a long process of evolution, both personal and aesthetic, rather than having been a conscious starting point. The first intention is to allow the subconscious mind, the deeper hidden portions of the psyche, to express itself, much in the manner of the original surrealists. I paint not only what I see, but more importantly, what I feel. For me, painting is not merely holding up a mirror to the world but rather reacting to it. My art encompasses both the physical and psychological realms and preserves the moment of interplay between both. 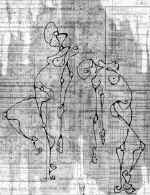 Movement and the form of the human body together with the complexity and intricacy of the human condition have long intrigued me. Painting. installations, performances Born in Montevideo 1964, currently living and working in Gothenburg. Entre design artistique et sculpture loufoque, Arnaud Lucet, façonne ses ouvres à coup de robinetterie, de tuyauterie et de manomètre. Un véritable hommage à l'univers industriel. Une formation en communication artistique, rue Madame, une expérience professionnelle de dix ans dans les métiers de la publicité et Arnaud Lucet devient Noart, un sculpteur de renom. The paintings of Arthurx are in a wild, emotional style. 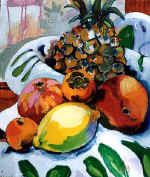 It compares best to the paintings of the fauvism and expressionism. Names like Picasso, Matisse, Derain, Marceau, Lapique and Cocteau spring to your mind. He works and lives now in Holland and Paris. 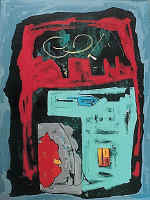 Artist David Ascalon (b.1945) has been a Philadelphia area fixture for a quarter-century now. Ascalon's monumental public sculpture and immense contemporary stained glass, mosaic murals and other projects can be seen in New York, in Los Angeles, and hundreds of points in-between. The design firm that he heads, Ascalon Studios, has, for three generations, engaged in the artistic adornment of worship and public spaces throughout North America. 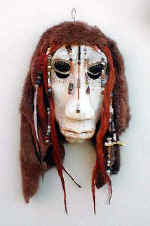 Am, very small lady and people don't believer the works I product because of size .I love to stay in the old ways of designing, carving and paintings, my fashion, paintings and sculptures are handmade, the reason is not to go into the machine style, I want to keep the ways of our ancestors style. Beside that I'm a "self-taught" talented fashion designer, painter and sculptress, recognized by worldwide collectors of fine art and my designers lies in the themes of Native American Indians, Native Africans, wild horses, colorful birds and flowers and abstract The paintings have a unique three-dimensional texture that makes them seem life like. The Sculptures are engraved with Native American and African symbols. I am sure the creativity of my works is within me. 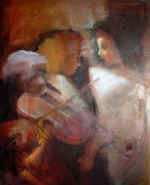 Bujar Asllani is a well-known artist in his native homeland. Nine of his paintings are bought and are currently maintained by the Permanent Collection of the National Art Gallery of Albania. 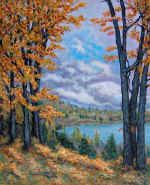 He moved to Toronto in 1999, There he continues to add to his artistic repertoire with many new works, some of which are featured in his website. 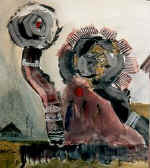 Born in 1951 in Tilburg, she has lived and worked in The Hague, in The Netherlands, since 1983. She studied illustrative art at the "Koninklijke Academie voor Kunst en Vormgeving" in 's-Hertogenbosch. 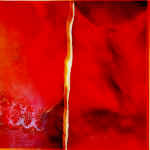 Since 1995 she specialises in painting with acrylic on cotton. In 1995 I moved to Atlanta, enrolling at Kennesaw State University as a studio art major. At KSU, I was an active member on the Visual Art Committee, exhibited over eight art exhibitions, winning awards in photography, pottery, and sculpture. During my senior year I had the opportunity to be a studio assistant to noted sculptor Barbara Rheingrover. Brent Atwater is a documented medical intuitive, distant energy healer, and a professional artist. 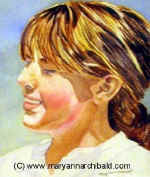 She is a pioneer in the USA and in healing art and art medicine by scientifically documenting the the healing benefits of her art for healing- Paintings That Heal™, and Healing Art for Children.™At age 16, she was in the pioneer NC Governor's School for the Gifted in Art, and the North Carolina Museum of Art chose one of her paintings for their permanent collection. «PBS» did a TV program on her artwork, and she has been featured on TV's «PM Magazine» in a national special, on «Crook and Chase» & interviewed on numerous TV and radio shows. Louise Aubé Artist Painter Animals. Faces. Landscapes. Realistic painter. Member De la Corporation Rose-Arts Laval. Member Du Conseil De La Culture. 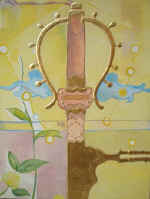 Member Du Cercle Des Artistes Peintres Du Québec.Artist Exhibitions:expositions et Événements Régionaux et Internationaux. Derek R. Audette has been called one of Canada's most promising and potentially important young artists. 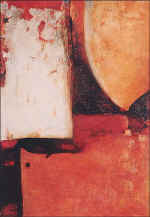 He is an accomplished musician and his work as a painter in abstract styles; photographer, and a maker of short films have also achieved recognition. Michael Auger is a freelance illustrator and fine artist from Washington DC. 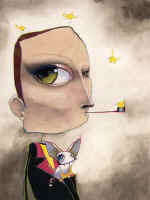 His offbeat creations are usually charming and slightly disturbing at the same time. His motto is: "If you can dream it, I can draw it!" I love to paint, and to create. 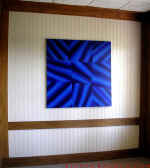 I am a student of illustration, but I also create abstract paintings to sell. I work in many different media and I also enjoy photography and printmaking, often incorporating these into my illustration or painting work. 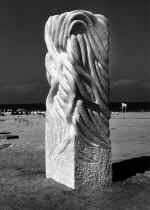 In 1981 Shlomit Averbuch returned to Israel after graduating from the Academy of Fine Arts in Rome , where she studied for five years under the famous sculptor, Pericles Paccini . This followed two years spent at the Free Academy in The Hague , Holland .Right after graduating, Shlomit Averbuch's sculpture Motherhood won the prestigious Marcus Aurelius Prize awarded by the Municipality of Rome. At around the same time Shlomit began participating in group exhibitions in Rome and throughout Italy .She spent the next two years specializing in stone work at a marble sculpting workshop in the well-known village of Pietra Santa near Carrara . Sue Averell's signature style intrigues both new and experienced collectors. 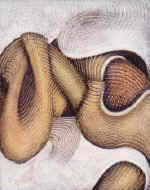 Her paintings and drawings are displayed and collected world-wide, and are included in collections in Switzerland, France, Germany, Thailand, Singapore and the United States. Her San Francisco Studio is open by appointment April - October 2005. November 2005 For more information or to schedule an appointment please email her. Currently a resident of Texas, Ávila was born in California and raised in Monterrey, México. He began painting in a self-instructed style before taking part in fine art ateliers and became involved in graphic design projects as he studied International Relations and Architecture in Monterrey. Aviva Beigel an International artist. Participated in group and single exhibitions in Tel-Aviv, Haifa, Slovenia and Switzerland. Painting, Sculpture and Mosaic. B.A. in History of Art. Art guidance in Tel-Aviv Museum of Art. 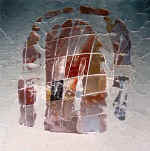 My Mosaic works combines bits of joy and love, pain, suffering, fear dream and fantasy as fragments of life. I graduated from Istanbul Fine Arts Academy as a ceramist in 1974 and worked in ceramics until watercolor painting claimed all my attention nine years ago. Ayes art is in the Florida state art collection of Governor Jeb Bush. 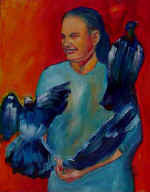 His art has recently appeared in the pages of AARP Segunda Juventud's Encore. He has created a new genre, Hyper Visualism. The beinghoods of concepts have real forms. In every culture we reproduce elemental shapes. Ideas are living creatures endowed with physical presence, locomotion, frequency, tangibility. The work concerns itself with the creaturehood of concepts, sensations and experiences, with the shape of the pulses between form, language, gesture - the visceral, the translatable in the untranslatable. Dancer, performer, teacher, sculptor, painter - I've been an artist all my life and I love my work. Born close to Palencia, a small City in the North of Spain, on the 22nd July 1975, and living in a small village all thought my childhood. I started painting on the abandoned walls of derelict houses, graduating to filming redundant doors. At age 18 I left to travel Europe, drawing postcards in Paris to sell on the streets, and seeking inspiration from in Rome. England finally beckoned in 1996, where I have stayed ever since, inspired by Baconism and William Blake. I am born in Belgrade at 1957 where I am graduated on Academy of fine arts at 1983.Also ,at 1978, I am finish High pedagogical school for art teachers. I am member of ULUS (Association of Serbian artist) since 1986, and SOARTS- (Association of Californian artists in Palo Alto, USA). I have had many exhibition in my country and several in abroad. I am pioneer of post-modern , from beginning of 80' years. 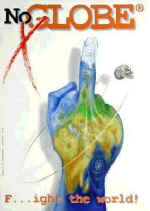 This years I am represent of Serbia & Montenegro on Florence Biennale 2005. 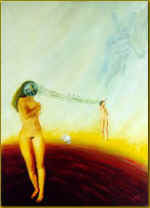 All my works are on my own imaginations and they are in different techniques and dimensions. I living and working in Serbia, but very hard, and my big wish is to escape from my unfortunately country , and have normal life with my small family somewhere in West Europe or U.S.A.